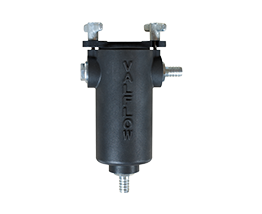 Valflow® filters are used on rotogravure printing, coating, and laminating machines to remove contaminants in inks, coats, and adhesives to ensure good print or coat quality. 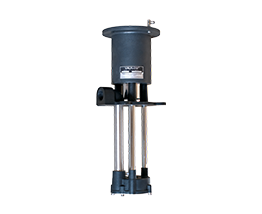 Valflow® filters can be used on rotogravure printing, coating, and laminating lines to remove contaminants in inks, coats, and adhesives through mechanical (filter mesh) and magnetic means, thus ensuring good print or coat quality. 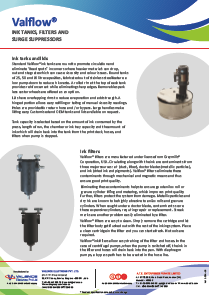 Valflow® filters perform two major functions – circulating along with the ink or coats are contaminants from three major sources: air (that carries dust and fiber), doctor blades (a source of metallic particles), and fluids (that contain undissolved solids and pigments). 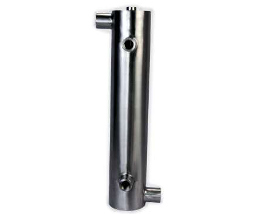 Valflow® filters capture these contaminants and allow only clean fluid to pass through, thus ensuring good print or coat quality. 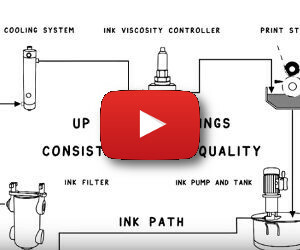 The standard Valflow® ink filter is designed for centrifugal pumps. 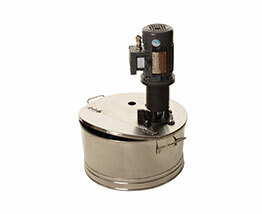 For diaphragm pumps, the filter has a built-in surge suppressor function.